Hedge parsley is an invasive weed that can grow in a variety of conditions. It is a nuisance not only for its vigorous growth, but also because it produces bur-like seeds that stick to clothing and animal fur. Reading up on hedge parsley information will help you learn how to recognize and manage it in your garden or small farm. Let’s learn more about hedge parsley control. Hedge parsley (Torilis arvensis), also known as spreading hedge parsley, is a weed that is native to southern Europe and thrives in many parts of the U.S. 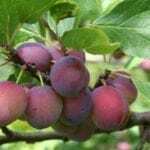 It tends to grow in pastures and fields, on the edges of forests, and in disturbed sites, like roadsides and gardens. The hedge parsley weed grows about two feet (0.6 m.) tall and has toothed, fern-like leaves and narrow, rounded stems. The stems and leaves are covered with short, white hairs. It produces a cluster of small white flowers. The plants reseed easily and form large, spreading clumps. 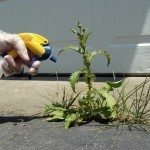 This weed can be a real nuisance because it can outgrow a lot of other plants. 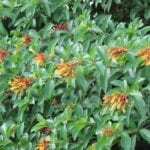 It will thrive in a range of soils and, while it prefers full sun, it can still grow well in shade. The burs are also a nuisance and can even harm animals when they stick to ears and nostrils and around the eyes. 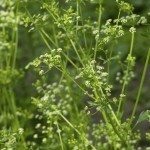 You can manage hedge parsley weeds in your garden or pasture fields by hand-pulling the plants. 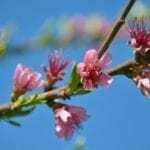 This is an effective, though time-consuming, method of control and is best done in spring before the plants have flowered and while the soil is still soft enough to make pulling easier. Mowing them down before the seeds develop can also help, although it will not totally eliminate the weeds. If you have grazing animals, they can eat hedge parsley. Grazing before flowering can be an effective control method. 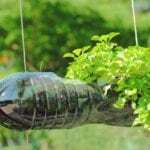 There are also several herbicides that will kill hedge parsley if you are interested in a chemical control method. Examples include 2,4-D, triclopyr (Garlon 4 Ultra), glyphosate (Roundup), imazapic (Plateau), and chlorsulfuron (Telar). A local garden center or nursery can help you choose a pesticide and guide you in how to use it correctly and safely.